Duhita's goal is to create a space that is inspiring, efficient and beautiful. A modern reflection of the homeowner that comprises flow, style, and ease of access. Have more money in your pocket - Redesign, Renovate, Build & Organize! An extraordinary perspective on her part will give you a design that no one else has - it will be uniquely yours! 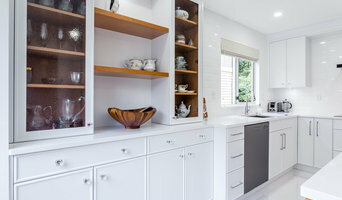 Established in 1998, Woodhaven Kitchens, formerly Canterbury Designs, has been designing and installing quality custom cabinets and countertops for over 15 years. At Woodhaven, we are dedicated to customer satisfaction, excellent service, quality and competitive pricing on all products that we have to offer. 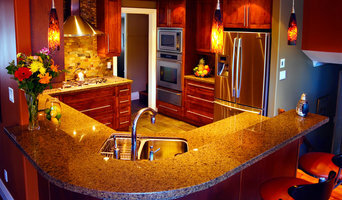 Woodhaven Kitchens Ltd. is an authorized dealer for Canyon Creek Cabinet Company and Montalco Cabinets. Woodhaven Kitchens is here to assist you in creating your dream kitchen and home, taking into consideration all your personal requirements. We take care of everything, the initial design, manufacturing, delivery, and the final installation, including the countertops. Woodhaven designs and personalizes kitchens, bathrooms, laundry rooms, home offices,home theatres, closets and living rooms. Whatever your cabinets requirements, we will enhance your living space. At Woodhaven, we strive to provide you with the highest standards and quality service. Every project we undertake, big or small, is the most important project from start to finish. Visit the Woodhaven Kitchens showroom, meet with a Woodhaven designer and start creating the home of your dreams. 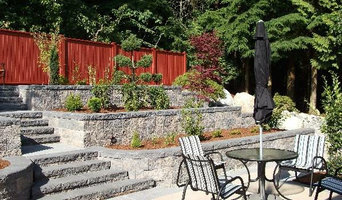 Redrose Woodworking & Design Ltd.
Redrose Woodworking & Design Ltd. is a family owned and operated company located in Port Coquitlam, B.C. Redrose Woodworking has been crafting quality custom woodwork for Vancouver clients and surrounding areas for over 20 years. We specialize in custom cabinetry in residential and commercial projects and combine high-quality materials, such as the finest Canadian wood, as well as top rate designs, along with expert craftsmanship in all of our projects. We offer custom kitchens, built-ins, vanities, buffet hutches, wall units, entertainment area, home and office desks, shelving, cabinetry and more. We have a vast selection of door styles, wood species and stains, with a large variety of accessories, knobs and handles. Our 4,800 square foot shop includes a fully equipped manufacturing facility and showroom where our friendly staff are more than happy to answer any of your questions. Our employees are professionally trained in their field of work. Redrose Woodworking is fully licensed, bonded and insured. But before you start sending out dozens of emails and making phone calls, sit down and think about your project. What's your budget? What is the scope of your project? Will you need more than one type of professional to complete your home improvement project in Port Coquitlam, BC? Can you afford to complete the full project now, or should you tackle it bit by bit? 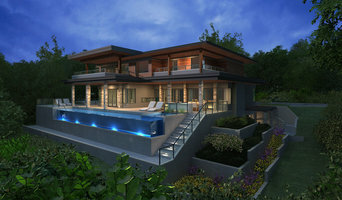 Once you've settled on your project’s priorities, budget and scope, it's time to start researching Port Coquitlam, BC home design professionals. Don't sell yourself short and settle on the first professional you set your sights on. Make sure that you're working with someone local, who can get to the jobsite easily and efficiently. Look into the person’s reviews, ask to speak with former clients and to see previous jobs in person. Take a good look at their portfolio photos: How similar are these projects to your own? Be honest — that mansion might look beautiful, but it might not have a lot in common with your little bungalow. Reach out to multiple professionals — especially for larger projects — and don't settle for the first bid you hear. Comparing multiple Port Coquitlam, BC professionals' bids and experiences can help you find the one that’s best for you. Ask a lot of questions now, so you won't have unexpected answers later. Find a home design professional on Houzz. Narrow down your search by type of professional and location. Browse Port Coquitlam, BC portfolio photos, read client reviews and contact each Port Coquitlam, BC professional for more information. Check out the information in the specialized professional sections too for tips on how to hire the right professional for your project.